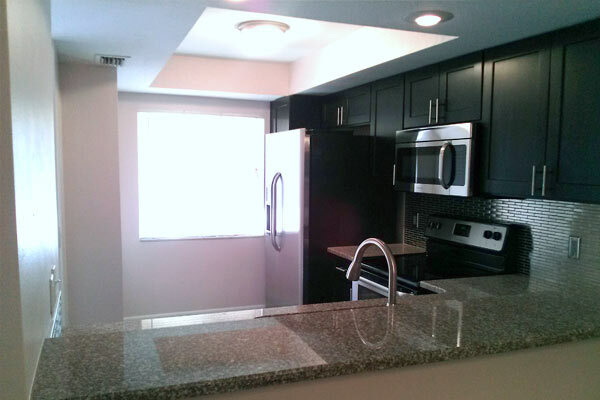 A Cape Coral condo remodeling kitchen project featuring granite countertops, stainless appliances, stainless tile backsplash and espresso wood cabinets. 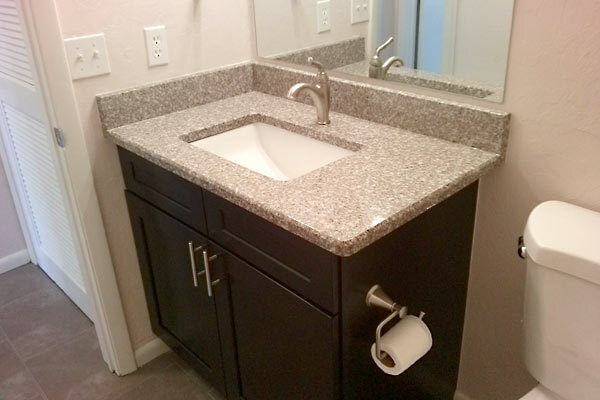 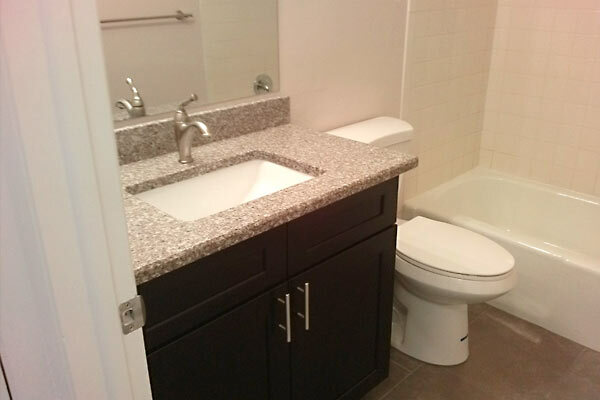 After completing the kitchen remodel, our customer decided to update their guest bathroom. 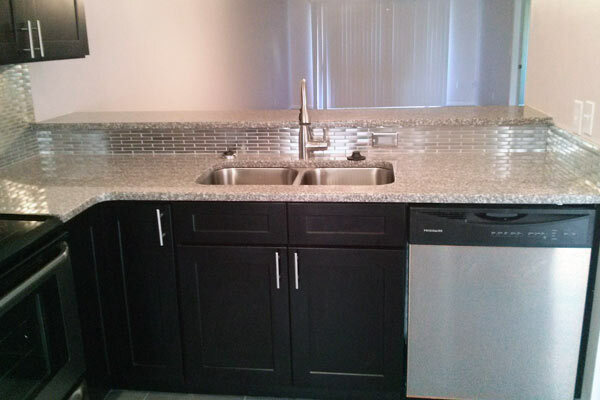 At Distinctive Contracting, we can help with your condo remodeling needs from home improvement projects to tile floor installations. 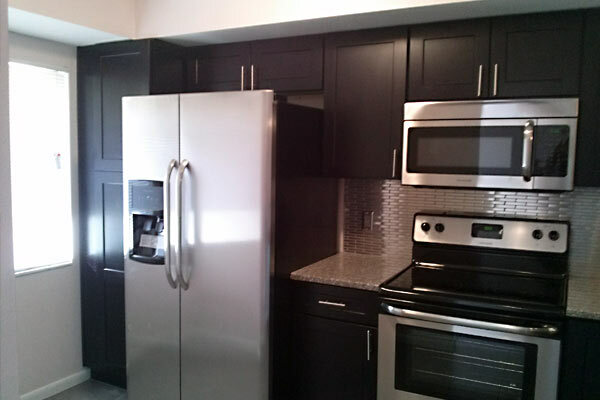 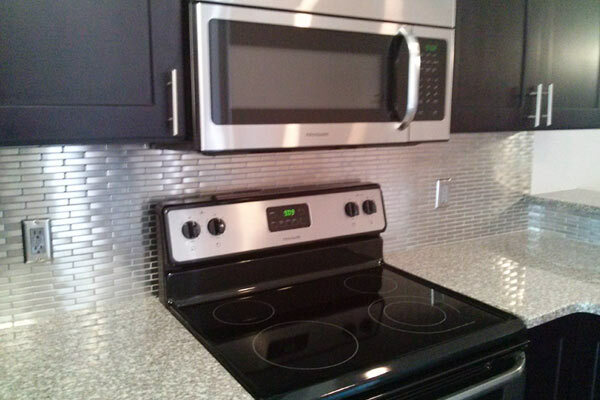 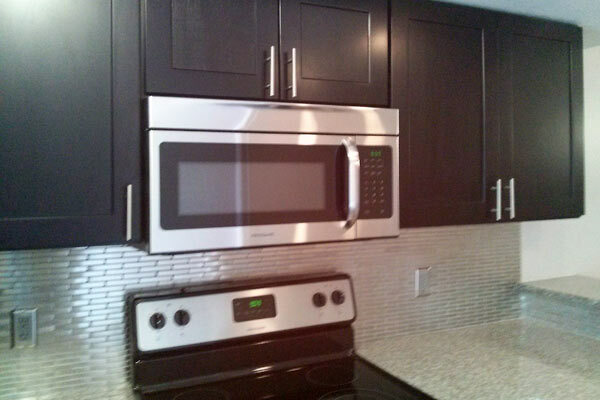 Contact Distinctive Contracting LLC for condo remodeling kitchen projects, bathroom remodeling and repair services in the Cape Coral, FL area.